The New York Power Authority announced yesterday that they will be expanding the K-Solar Initiative, which assists New York school districts in installing solar systems. The program will add two new solar developers and already has 25 districts with signed PPAs and 380 districts interested in participating. The increased support from NYPA highlights the opportunity and growth for solar within the education sector, as seen in other large solar markets. 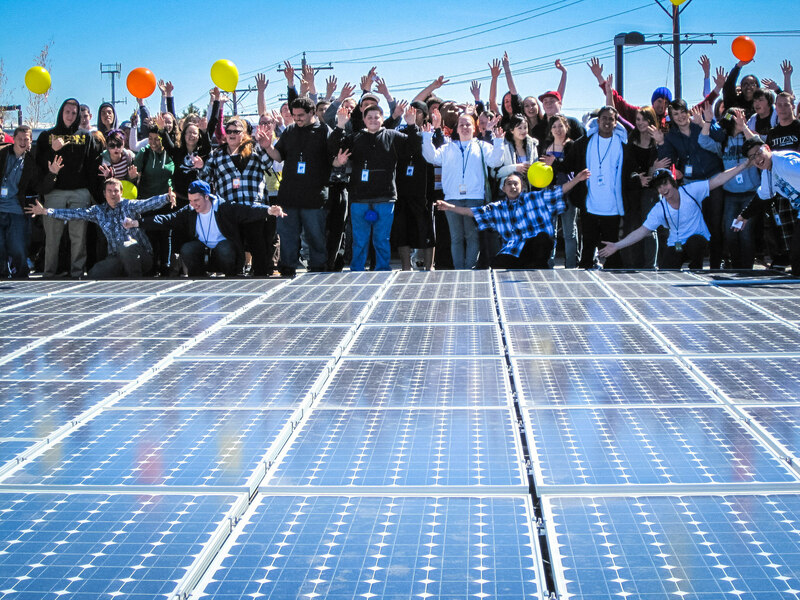 The K-Solar Initiative, a first-of-its-kind program, was launched in January 2014 to support the expansion of solar within New York public schools. The program is offered to all 700 school districts in New York with over 50% already interested in participating. As part of the program, NYPA acts as an energy advisor to the schools, providing technical assistance and consultation on volume pricing discounts and state incentives. The participating solar developers perform outreach to the schools and provide free site surveys and solar energy analysis. An added benefit of the program is that NYPA engages teachers to attend workshops in which they learn to incorporate renewable energy lessons into their curriculum (more than 300 participated in 2015 and 2016). The two new solar developers are Greenskies Renewable Energy and Solar Liberty (SolarCity is an existing vendor) and were selected through a competitive bidding process. Greenskies will assist schools in Central and Northern New York and Long Island and Solar Liberty will bring schools on-line in Western New York and the Southern Tier. Solar Liberty was #11 on the 2016 top solar companies in NY list (by installation volume). 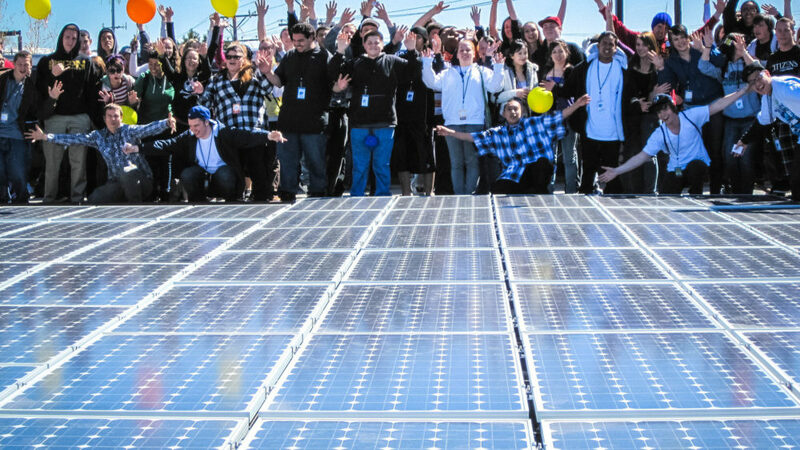 Other large solar states have had similar programs as K-Solar, although the opportunity remains largely untapped, according to a 2015 study by SEIA, Brighter Future: A Study on Solar in U.S. Schools Report. The study found that at the end of 2014 there were 3,752 K-12 schools in the U.S. with solar installations, compared to an estimated 40,000 and 72,000 that could install solar cost-effectively. As solar prices have dropped, that range has likely increased significantly. 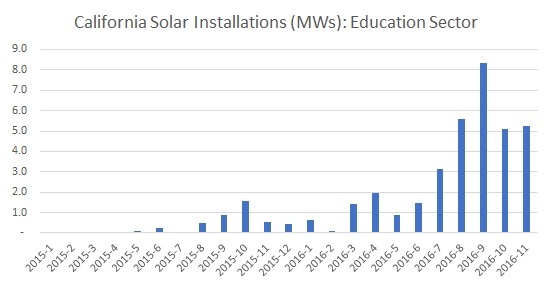 According to data from the California Solar Initiative, the education sector in California installed 33.8 MWs of solar in the first 11 months of 2016, multiples more than in 2015. Education and commercial sectors were bright spots in California this year, which has seen a slowdown in residential solar. The residential slowdown may be due to high solar penetration in certain areas and lower acquisition spend by national installers as more consumers choose to buy vs. lease solar.